Ilovaisk 2.0 is at hand. 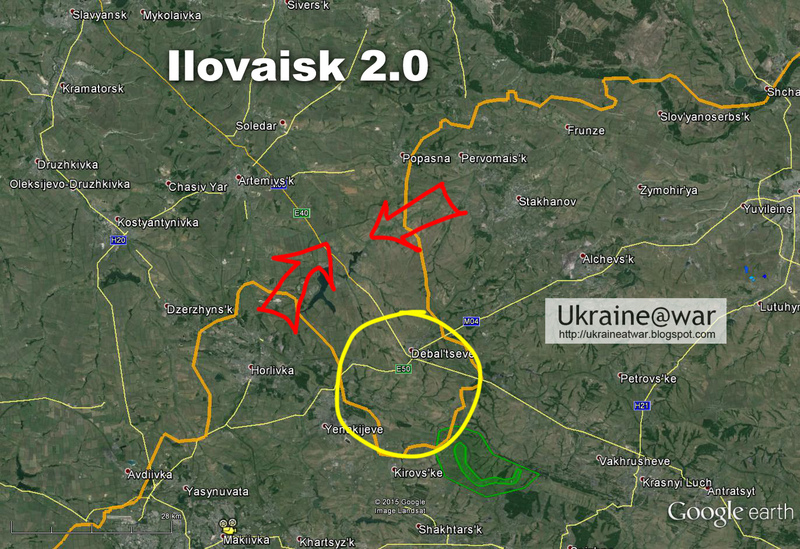 Read about the first Ilovaisk here. 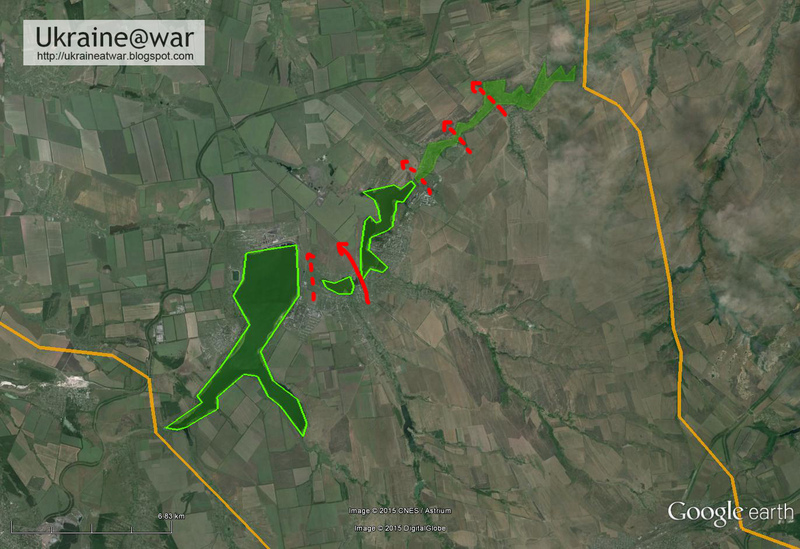 The Russian army had recently been taking over control of Alchevsk and Stakhanov from the cossacks there. It means the area has been reinforced and received another formidable battle group. And yes, I KNOW it is called the "Joint Centre for Control and Co-ordination (JCCC)" of the SMM of OSCE". But WHO CARES what name you give it? 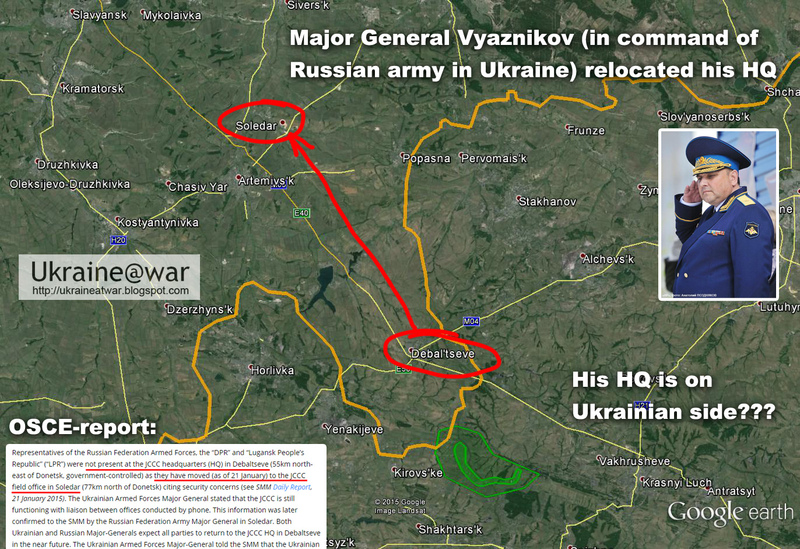 A Russian General, who is commanding ALL Russian forces in Ukraine has his office (also called HQ...) ON THE UKRAINIAN SIDE of the frontline. How can people be so stupid! He is relocating his HQ now... this means that attacks are eminent. If you want to see it or not. There are lakes and a stream bed that form natural barriers. Basically there is only ONE decent bridge crossing the area (red arrow). All the other crossings are through difficult terrain. In fact ALL the Russians need to do is have their artillery aimed at the crossings and there is no way out. 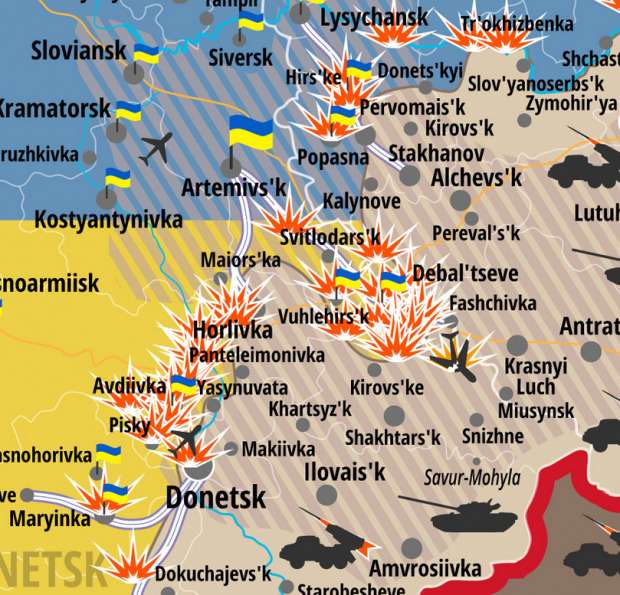 Russian propaganda site MilitaryCrap shows the ongoing attacks ALREADY. 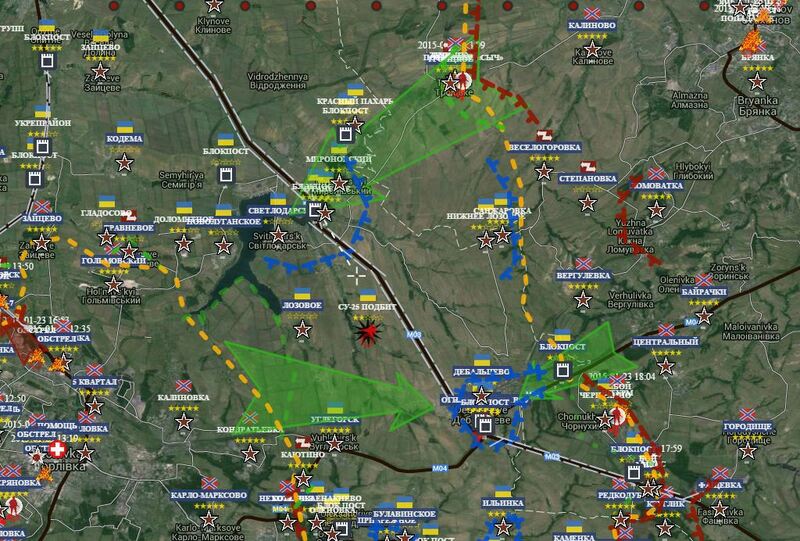 Yes it's a propaganda site, but the ATO map shows the same (in a different way). So people, the next disaster is in the making. This article from Kyivpost shows how much wounded come in DAILY from Debaltseve area and how it seems Ukrainian authorities are hiding (or at least not talking about) these numbers.